This Ultimate East Coast extravaganza combines several of our amazing Australian East Coast travel programmes into one incredible trip! Kick off your adventure in sunny Sydney with an awesome intro week and then learn to surf near Byron Bay. Next, bounce along Australia’s East Coast between Byron Bay to Cairns with our brilliant travel pass, valid for 12 months. Complete the entire East Coast trip in a minimum of 38 days or extend your stay and hop on and off to discover the best bits of the East Coast. 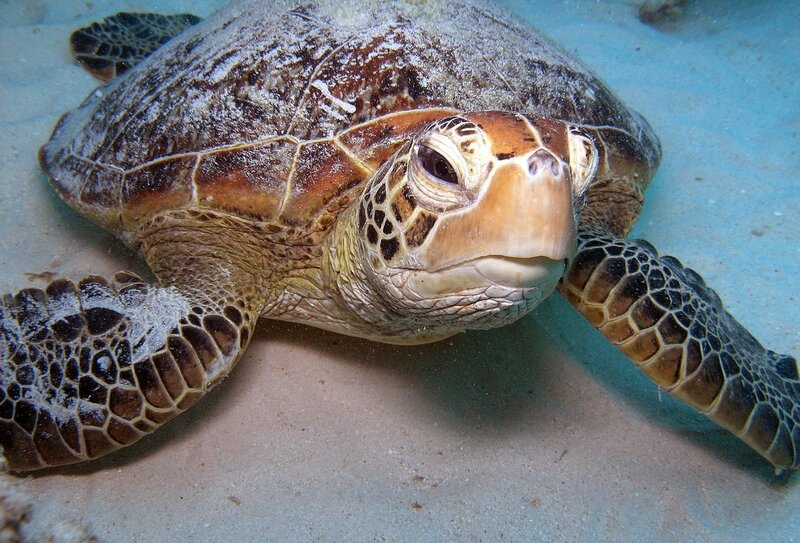 Round off your epic East Coast trip with adrenaline adventures in Cairns, or learn to dive at the Great Barrier Reef! Minimum travel time: 38 days, maximum 12 months. Each programme is open-dated so you can book your start dates as you go, allowing for the ultimate in flexible travel. Have an awesome Aussie adventure full of unforgettable experiences on this ultimate thrill ride along Australia’s amazing East Coast. This trip is fully flexible and open-dated, allowing you to choose your own start dates for each part of the programme. You can complete the entire trip in a minimum of 38 days, or you can use the inclusive East Coast travel pass (valid for 12 months) to hop on and off so you can spend some extra time in your favourite destinations along the East Coast - awesome! You can choose to follow one of these suggested East Coast itineraries, or build your own trip and add in or take out programmes to design your own ideal trip. Your hop-on-hop-off travel pass means you can travel with minimum hassle: There's even a handy app to make booking your travel even easier! If you want to explore the East Coast and do paid work, check out our exciting combo trip The Big Aussie Adventure instead. Your Ultimate East Coast adventure starts with an 8-night Sydney Intro tour. This week of city excitement is the ideal introduction to the Aussie lifestyle, setting you up for a sensational Down Under experience by seeing all the top sights of Sydney. From a walking tour of the city to a cruise round Sydney’s famous harbour you’ll immerse yourself in city life and enjoy the Aussie vibe. With 2 nights included at an outback beach camp you can take a 4x4 dune tour, go sandboarding and spot wildlife on a mini outback adventure. Then bliss-out on Sydney’s beaches and get a surf lesson, or tour the breathtaking Blue Mountains to complete this full-on city experience. 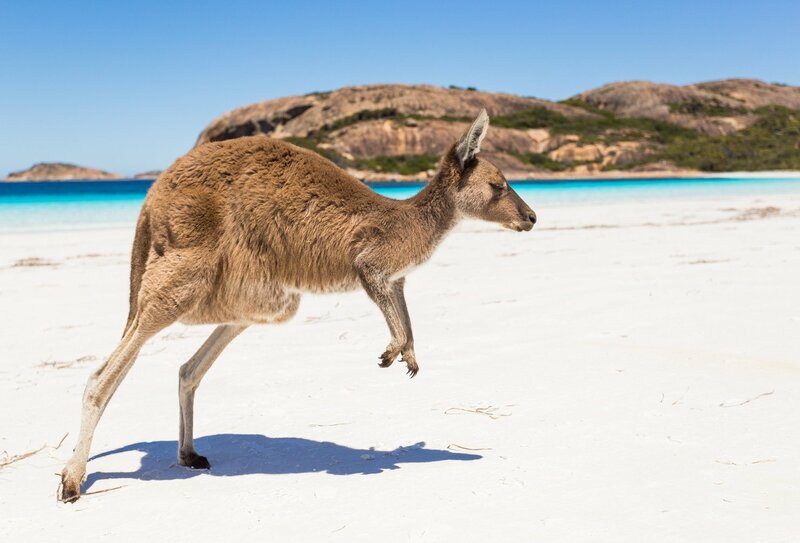 If you want to extend your Aussie adventure and plan in time to do paid work in Australia, you can swap the Sydney Intro tour for our Absolute Oz job programme. This also includes a week of Sydney city fun and outback camp (no surf lesson included) but also includes an introduction to working in Australia, setting you up with all you need to do paid work Down Under. With access to the hot jobs list you can earn money in Oz for a few months before continuing on the rest of this awesome Aussie adventure! Transport between Sydney and Surf Camp is included at the end of the Sydney Intro. Please note: If you choose the option to do paid work in Australia you will need a Working Holiday Visa, available for 12 months for 18-30 year olds. Spend 9 days on our Learn to Surf in Australia programme. This excellent experience will mean you’ll be learning to surf with the pros and hanging ten on some of Australia’s most remote and sensational beaches. Carrying straight on from your Sydney Intro, you will be collected on a Monday from a meeting point near your hostel and taken on to the next exhilarating stage of your Aussie adventure – surf’s up! Surf school kicks off at 10pm or 11pm every Monday (depending on season), and lasts for 8 nights, which includes 6 nights at Surf Camp and 2 nights in Byron Bay. Your instructors will introduce you to the adrenaline rush of surfing the waves, with one instructor allocated to every 7 students. Surf lessons and surf expression sessions are included in the price. Although you’ll be riding the waves during the day, there are also plenty of chances to swim, sunbathe and live the laid-back life too. In the evenings, the group usually gets together to have a drink and party. Surf Camp ends in the laid-back hippy town of Byron Bay, where your brilliant East Coast travel pass route begins. You’ll have your very own East Coast hop-on-hop-off travel pass, travelling one way between Byron Bay and Cairns, which allows for flexible travel along the East Coast. Valid for 12 months, this travel pass not only provides you with transport along the East Coast, but it also includes some incredible experiences of its own. Freedom & Flexibility: You are free to travel along the part of the East Coast route covered by your travel pass in a minimum time frame of 8 days, or explore at your own pace for up to a total of 12 months, hopping off for flexible stays in each stop-off. The combination of bus and train travel equals fast, efficient travel times which mean you can max out every moment! Unique Overnight Stays: This travel pass heads right off the beaten tourist track and includes compulsory overnight stop-offs at set locations. Hop across to magical Magnetic Island and stay in an Indigenous camp in the rainforest. The cost of these unique stays is not included in the trip price but they are available for a fantastically reasonable local payment. Easy Booking App: One of the best things about this brilliant travel pass is the ease and flexibility of booking. The high-tech booking app can be installed easily onto your device so you can book departure times, accommodation and activities all at the touch of a button. Alternatively you can access all information and booking directly through the website. Great Guides: The travel pass has some of the most well-informed and helpful tour guides in Oz, and they travel with you on every stage of the fixed route, offering helpful advice and information about all the best things to see and do on the Aussie East Coast. This adventure is based in Cairns and is all about getting the ultimate Aussie buzz. You will spend a total of 6 nights staying in Cairns, with 4 full days of fun and inclusive activities. For any traveller searching for an adrenaline rush this is an epic way to enjoy all of Australia’s most spectacular sights and awesome activities. Get your pulse pumping as you take a rapid ride on the Tully River with a day of white water rafting; take a sea kayak tour and have fun on Fitzroy Island; blow your mind on a soaring balloon flight above the Atherton Tablelands and snorkel in an underwater world at the gorgeous Great Barrier Reef. Spend a few days learning to dive at the Great Barrier Reef, with a PADI scuba diving course that includes 2 days training and a 3-day trip on a live-aboard boat, which takes you to the best Great Barrier Reef diving spots. Your first four dives will complete your Open Water certification, then as a certified diver, you'll be able to take up to five more recreational dives. As one of these is a guided night dive, you’ll also have a chance to see the full spectrum of life that the reef has to offer! 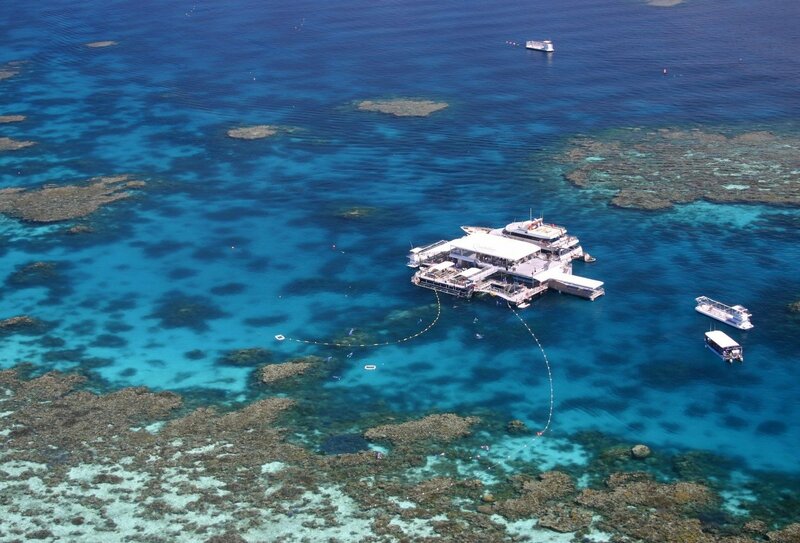 With warm waters and incredible visibility, this truly is a unique reef experience. Please note: This programme is subject to a local charge of AUD75, which is not included in the overall programme cost. This cost includes Government Environmental Management Charge, Port Departure Tax and administration costs. If you have been scuba diving, it is advised that you do not fly before 12 noon on the day after diving. 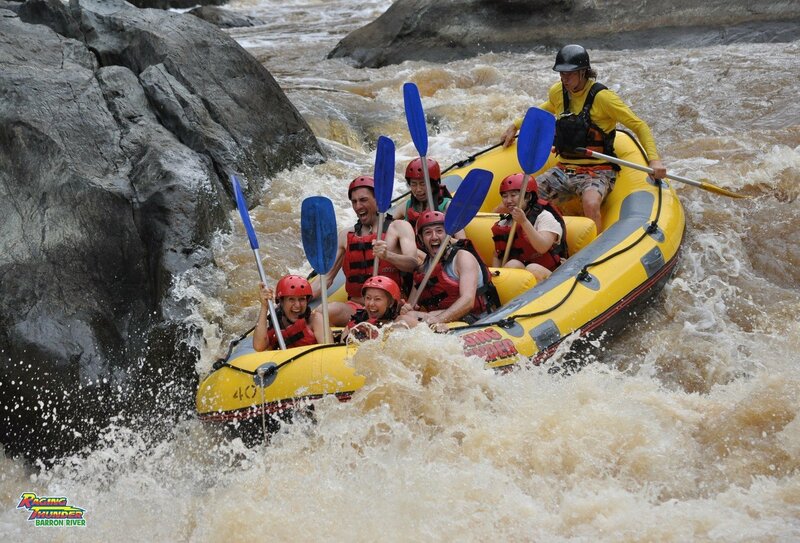 Due to scheduled maintenance the White Water Rafting on the Cairns Adventure will not operate between the 31st October and 10th November. An alternative activity will take place. Below you can see the arrival information for each part of the Ultimate East Coast Adventure. Start dates for the inclusive programmes are open-dated and flexible, so you can book them as you go, depending on your individual itinerary. The time you stop off in each location is up to you, using your flexible, hop-on-hop-off East Coast Travel Pass. The minimum travel time is 35 days. Sydney Intro or Absolute Oz: The programme begins at 11am on a Monday from your Sydney hostel. You should arrange flights to arrive on Sunday into Sydney airport where you will be met and transferred to your city hostel via a shuttle bus. Surf Camp: You will be picked up close to your near Sydney hostel at 10pm or 11pm (depending on season) on a Monday to set off for Surf Camp. This trip ends in Byron Bay where your East Coast Travel Pass route begins. 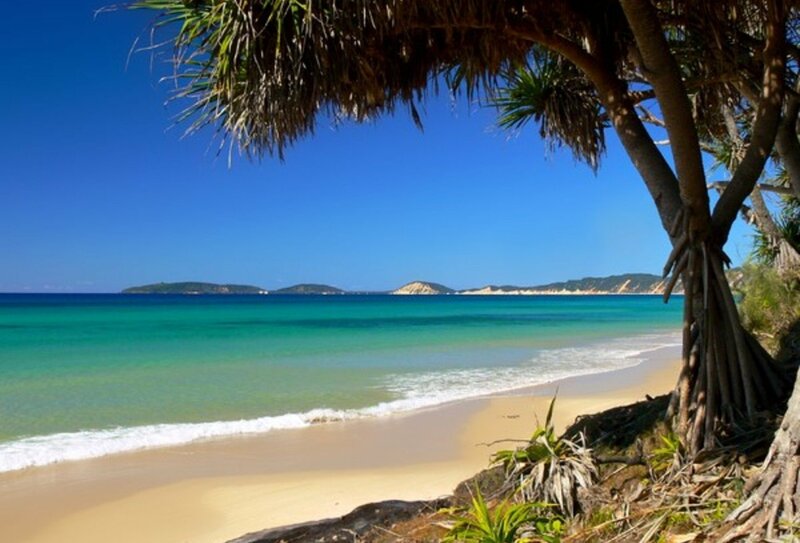 East Coast Travel Pass: Valid for 12 months, for one-way travel between Byron Bay - Cairns. Cairns Adventure Option 1: Arrive in Cairns. The Cairns Adventure trip departs daily from Cairns and you can buy an open-ended ticket and decide on your start day nearer the time. Learn To Dive Option 2: Arrive into Cairns as the last destination on your East Coast route. Learn to Dive courses begin on every day of the week except Saturdays. Your dive training will begin around 8am on day 1. This incredible Ultimate East Coast package is a mixture of planned programmes, some of which include accommodation and some meals, and independent travel, where you will have to book your own accommodation and cover costs for meals. Our travel advisors can help you with any extra accommodation you might need along the way; you only have to ask. If you have any special dietary requirements please tell us before you go. Accommodation is included for the length of your stay (8 nights) on both programmes, and will be in shared Sydney dorm accommodation. Some meals are included. On the Sydney Intro you will get 4 dinners, 2 breakfasts and 2 lunches plus a free welcome drink. On the Absolute Oz you will be given 3 dinners, 2 lunches and 2 breakfasts, a welcome drink and 4 free drinks on a bar tour! A total of 8 nights’ accommodation is included. 6 nights are spent at Surf Camp, sharing beachfront dorms with six to eight other surfers. The camp has internet and a TV room as well as a snack shop. You will also spend 2 nights in a unique surf camp in the laid-back surf and hippy town of Byron Bay - staying in tipis! All meals are included whilst at Surf Camp, prepared by camp chefs. A variety of choices should be enough to suit any taste, and typical meals include Italian foods, Mexican foods, roasts and BBQ’s, all served with salads and bread. Water, coffee and juice are also included at mealtimes. You will also have breakfast and dinners included while in Byron Bay. No accommodation is included as part of this flexible travel pass, but in each overnight location you will have guaranteed accommodation reserved for you, so you don’t have to worry about where you will be staying. Accommodation can easily be booked using your unique travel app. A night in a hostel costs around £16 per night on average (to be paid locally). 6 nights’ accommodation in a hostel in Cairns is included, in shared dorms sleeping up to 8 people. Some meals on day trips are included: A BBQ lunch on your white water rafting day, a picnic lunch on your day spent sea kayaking and lunch during your snorkelling day at the Great Barrier Reef. 6 nights of shared accommodation is included, with 4 nights in shared dorms in a hostel in Cairns and 2 nights staying on a live-aboard dive boat. All meals are inclusive on board the dive boat (3 breakfasts, 3 lunches, 2 dinners). Other meals are not included. For this ultimate East Coast tour we have a minimum age requirement of 18. All British visitors to Australia will require a visa or Electronic Travel Authority (ETA) to gain entry. These must be applied for before departure. On an ETA tourist visa the maximum length of time you can stay in Australia is three months at any one time, although your visa is valid for up to 12 months so you can re-enter for a further stay. If you choose the Absolute Oz programme and wish to do paid work in Australia, you will need to apply for a Working Holiday Visa. Due to Working Holiday Visa age restrictions, this trip is only available to 18-30 year olds. If you choose the Learn to Dive option, acceptance onto the course will depend on the participant’s health, and it is a course requirement that you are able to swim 200 metres and tread water/float for ten minutes.